Roofs are a very important part of mobile homes and are made to protect the home and the people and things inside the home as well. 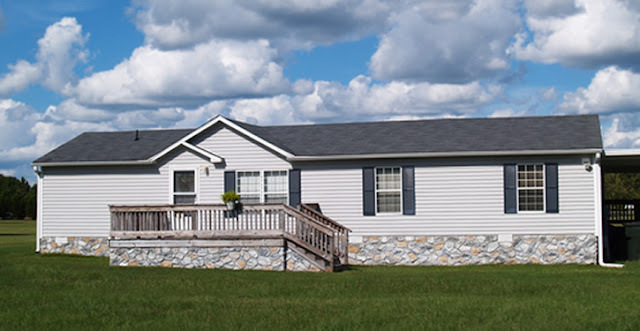 A healthy and safe mobile home roof should be kept well maintained to prevent water damage, mildew and mold, and other types of roofing damage. Most mobile homes today have various different styles and types of roofing to choose from. If it is an older mobile home, it may have a rolled roof or if it is a newer mobile home, it probably has a shingled or even metal roof. Shingles are some of the most typical types of roofing today because they can be built to look like tile or cedar. It is very important to know what type of roofing your mobile home has so you can look out for any damage or leaks that may occur. Just like any other home roofing out there today, mobile home roofing can have defects as well. What are some of the ways mobile home roofing can damage? There are several reasons as to why a mobile home roof may receive damage. Old age could be one factor as to why a roof on a mobile home could be prone to defects. Mold and mildew are very dangerous growths usually found on damp surfaces. While mold and mildew are both more likely to grow on wet or warm environments they can also quickly spread on roofs that have poor drainage. Big trees that are close to a mobile home whose branches do not get trimmed regularly have the ability to fall on a mobile home roof and cause serious damage to it as well. Many mobile homes made prior to the 1976 implementation of HUD code, mainly have bowed roofs while many of the manufactured homes built after 1976 tend to have peaked or pitched roofs. Many mobile home owners who have a mobile home that has a bowed or flat roof will be in need of immediate roof repair or even complete replacement because the original roofing system could be really old to the point where it has water leaks or wind damage. A flat roof tends to hold water much more and also takes in direct Sun more so than a peaked or pitched roof. This can cause extreme damage to the roof itself and the whole home if not quickly replaced or repaired soon. One option homeowners have when wanting to replace their mobile home roof is something called RoofWrap. RoofWrap is an EPDM or ethylene propylene diene monomer rubber that rolls off a big role that is big enough to cover an entire home. RoofWrap can stretch to several inches beyond the actual roofline where it can then be attached with an included hardware kit. This type of wrap is easy to install for homeowners and has been used much in low slope roofing in the United States. Another option when replacing your mobile home roof could be to buy a metal roof. Today, many metal roofs are available in many different thicknesses of steel or aluminum and come in various colorful finishes. A correctly and precisely installed metal roof on a mobile home can last up to 50-plus years. Even though it may be a little more pricey than other types of roofs it is definitely worth it in the end. TPO roofing is another great option when looking for a better mobile home roof. TPO roofing is a very excellent, cost-efficient roofing membrane solutions for mobile homes and these types of roofs are quality and strong in built. Truly, there are all kinds of different roofing options to go with when someone is thinking about changing his or her mobile home roof.